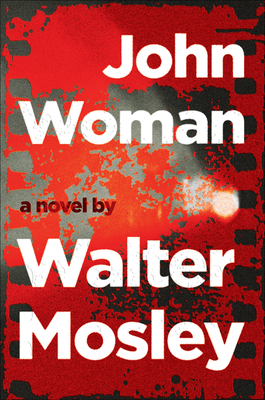 A convention-defying novel by bestselling writer Walter Mosley, John Woman recounts the transformation of an unassuming boy named Cornelius Jones into John Woman, an unconventional history professor--while the legacy of a hideous crime lurks in the shadows. At twelve years old, Cornelius, the son of an Italian-American woman and an older black man from Mississippi named Herman, secretly takes over his father's job at a silent film theater in New York's East Village. Five years later, as Herman lives out his last days, he shares his wisdom with his son, explaining that the person who controls the narrative of history controls their own fate. After his father dies and his mother disappears, Cornelius sets about reinventing himself--as Professor John Woman, a man who will spread Herman's teachings into the classrooms of his unorthodox southwestern university and beyond. But there are other individuals who are attempting to influence the narrative of John Woman, and who might know something about the facts of his hidden past. Walter Mosley is the author of more than fifty critically-acclaimed books, including the major bestselling mystery series featuring Easy Rawlins. His work has been translated into twenty-five languages and includes literary fiction, science fiction, political monographs, and a young adult novel. In 2013, he was inducted into the New York State Writers Hall of Fame, and he is the winner of numerous awards, including an O. Henry Award, the Mystery Writers of America's Grand Master Award, a Grammy, and PEN America's Lifetime Achievement Award. He lives in New York City.